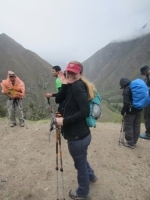 Before hiking the Inca Trail, I had camped in a tent all of 1 time and had never really hiked before. 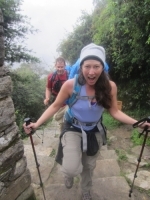 4 days later, I conquered the Inca Trail, made 8 new friends, and camped in a tent for 3 nights. 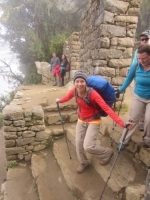 My experience with Inca Trail Reservations was definitely one I will never forget ! Our guide became our family and when we weren't huffing and puffing along the trail we were laughing and smiling ear to ear. This was the adventure of a lifetime. I can't imagine a better trip to take. Manny and Pepe were the best guides and I learned so much. 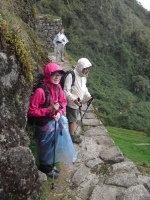 The Inca Trail was amazing and it was so beautiful. They took such good care of all of us. 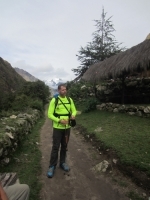 I had an amazing adventure on the Inca Trail. I am incredibly grateful for the guides who led us through this epic journey. 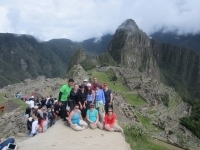 Manny and Pepe were very generous, and their pride for Peru and the Inca culture was apparent. They are truly ambassadors for this great country. I met my favorite person ever on this trip. Her name is Kelsey and she is awesome, beautiful, and super smart. 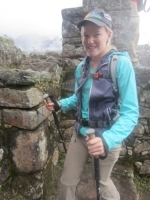 Other than meeting my favorite person, I really enjoyed hiking the Inca Trail and seeing Machu Picchu. It was the hike of a lifetime which I had as number one on my "bucket list." Anyone can come to the city as a tourist and take the train to Machu Picchu, but experiencing the first view of the ancient city in the morning from above after a challenging four day hike really made the trip special. 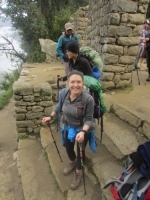 The Machu Picchu adventure was aching feet, clumsy walking and very early mornings, however it also meant fantastic views, exciting archaeological sites and tasty Peruvian food every evening. Passing the Sun Gate early in the morning in sunshine was a good award for the effort of walking up and down the Peruvian mountains ! Esta experiencia me ha hecho descubrir el poder de la mente para lograr metas y el valor de las cosas cotidianas a las que damos poca o ninguna importancia. La caminata fue increíble, difícil y muy exigente. Sin embargo vale la pena. Es una experiencia que te cambia la vida. Aprendí de cuanto soy capaz de dar. 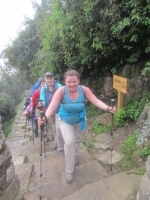 We booked the Inca Trail tour for the New Year's Eve of 2015 already in April 2014. 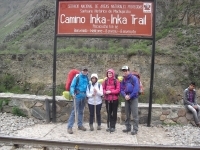 Inca Trail Reservations came up as one of the most favored options after several hours of browsing. 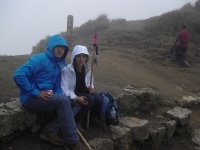 Now, after taking the hike, I do not regret the decision of going with Inca Trail Reservations. A true adventure. It is very tough but even more rewarding. It was amazing experience overall. The staff was amazing in every way. The guides were friendly and insightful. The porters are super human tough and the food at the campsites are restaurant like. No joke ! I wouldn't necessarily call myself outdoorsy but this trip might have changed that. Yes, there were tons of stairs and there were really rough patches of hiking but overall I was happy and relaxed throughout the trip. The guides take time to point out interesting spots and plant life. I broke my foot in Lima three days before the hike and was devastated that I couldn't make it with my husband, sister, and brother in law. 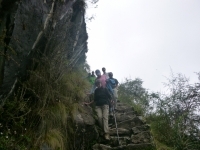 However, I went with my mom and aunt to Machu Picchu to meet up with my family and the rest of the group.